We put the call out on twitter and the website for someone to give us an opinion on who should play the mighty “Jack Reacher” from the series of books by Lee Child. One Shot is set to go into production with Tom Cruise (?) as lead. A lovely eloquent response just arrived from a fan who wanted to add his opinion to the mix, please read below and feel free to comment and leave thoughts etc. Remeber we were one of those that loved the source material and were slightly concerned as to Cruise being cast. Heres what reader Jim thought. In the book adventure series written by Lee Child, the central character is Jack (NMI) Reacher. Reacher is a man's man who is quiet and withdrawn until he inevitably encounters some great injustice. When he gets involved in the situation, the outcome is pre-ordained. However, it is the action that takes place between this initial involvement and the conclusion which captures the attention of the reader. Since Reacher is the key ingredient to these spell-binding stories, the success of any motion picture adaptation will depend primarily on the selection of the actor to play Reacher. 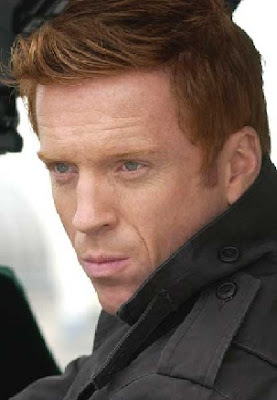 With the physical attributes that Child bestows on Reacher, two actors came to my mind as very viable prospects for the role: Jeffrey Donovan and Damian Lewis. I have seen the work of both actors and I simply could not "reach" a final submission regarding Reacher. The physical appearance of both actors not only fit that of Reacher, but they project an image of quiet strength; which is the very essence of Reacher. Both are very agile and fit and I have no doubt they would be able to do many of their own stunts while shooting the movie. Each has the ability to comport himself in such a fashion, to match the current circumstances in the story, regardless of how quickly those circumstances may change. Either Lewis or Donovan would be good, but I'm leaning toward Donovan. Great comment from Jim btw. well said - jim made some good points - i also think that maybe the RM could have had a go! ? well will have to see how cruise does i guess. i would like to see vin diesel as jack reacher!! Jack Reacher is 6'5" in the novels. Tom Cruise is 5'7" . How is that going to work? I couldn't think of a worse actor. Tom is good in Mission Imposible ect, but if your a Jack Reacher fan, he does not live up to your mental image of the character. I just saw the trailer - was pretty interested - then saw that Tom C. was playing Jack Reacher. I laughed out load in the theater and upset my girlfriend. I had to get up and leave. 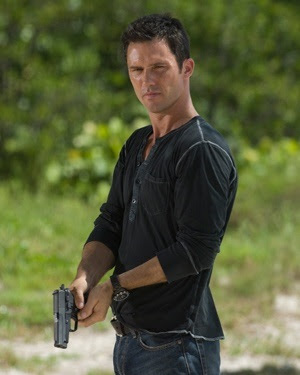 I agree with an earlier post that he does a fine job as special agent Hunt - there is no way he's Jack, one tooth brush, Reacher.